SBP’s 6 fave escapes that take you from LA to the slopes in no time. We might not experience a true winter in SoCal, but that doesn’t mean we’re far from it. Hop in a car, jump on a plane, and you’re shredding America’s most acclaimed slopes in no time. Below, get a glimpse of the SBP team’s six favorite mountains that are epic in rank and totally accessible from Los Angeles, to boot. An unwavering SoCal favorite, Mammoth Mountain is one of California’s most epic ski areas and lies a little less than five hours away by car. BUT, did you know you can fly, too? Wheel’s up for about 45 minutes and you’ve entered a true winter wonderland. Whether you choose to rent a sweet AirBnb or stay at the Westin or Village Lodge, you’re destined to have a sweet weekend in Mammoth’s stoke-worthy powder. And the coolest part? You can ski and surf in the same day once you return home. Hellooo California dreamin’. If Angelenos aren’t waist deep in Mammoth’s pow, you can probably find them shredding in Lake Tahoe. While there’s just one lake, you can find six different ski resorts in its circumference. 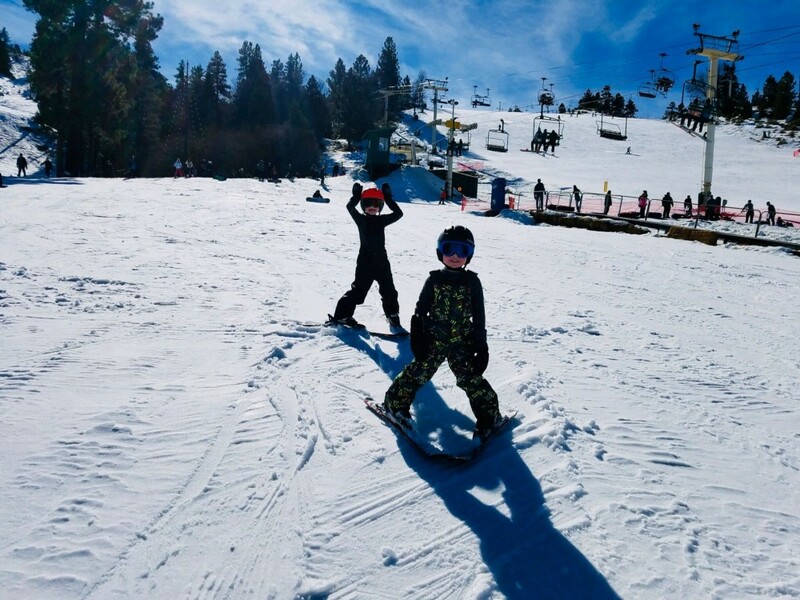 Our fave on the SBP team is Squaw Valleybecause, well, it has 3,600 acres of skiable terrain, 29 ski lifts and more than 170 trails, with the longest run extending for 3.2 miles. Need we say more? If you’re a skier, sometimes it’s nice to escape those gnarly snowboarders and experience winter elsewhere in America, right? That’s where Deer Valley comes in. 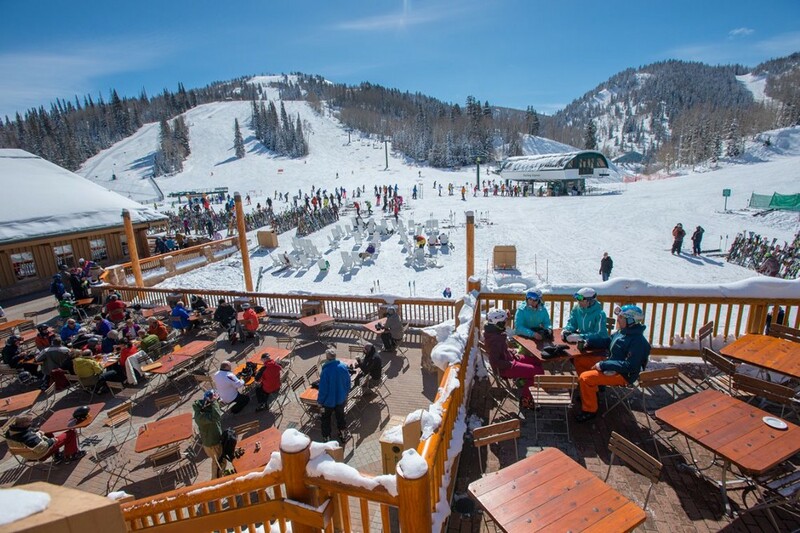 While the mountain has several reputable neighbors, like Park City, Alta and Snowbird (the list goes on, really), Deer Valley is undoubtedly more upscale with its lengthy array of amenities: free ski valets, free parking shuttles, fine dining and more. Alright, time to pack up your bags. Take a less than two hour flight from LA to Salt Lake City, then embark on a short 40 minute drive to Deer Valley Resort. We recommend snagging a room at The St. Regis, nestled high along the slopes of the resort with breathtaking views and ski in/ski out access. Talk about luxury. You’ve done Utah, so now it’s time to explore a new ski locale. Have you been to Sun Valley yet? Even if you have, start packing up your gear pronto. 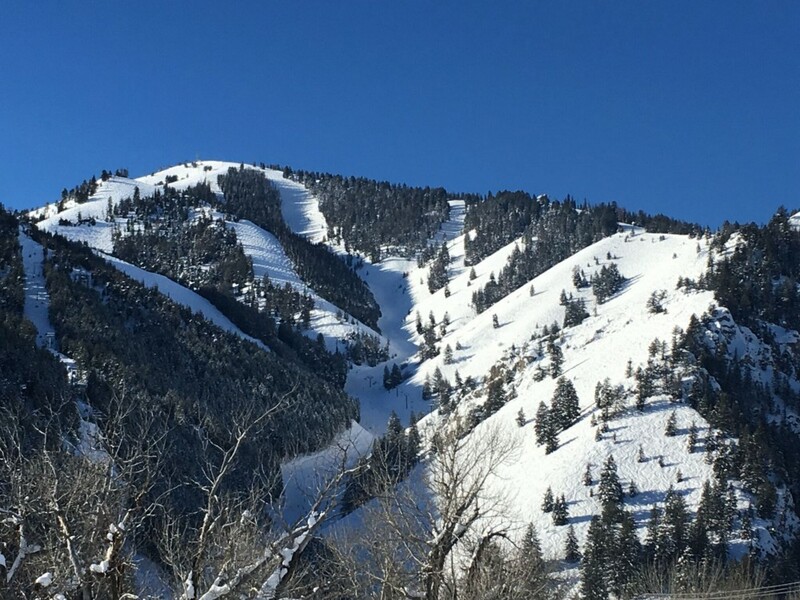 Consistently ranked amongst the best ski resorts in America by Forbes, Sun Valley is “more understated than glitzy, it has a rural flair, with a fiercely self-sufficient mountain spirit among the locals.” So if you’re in it to shred without fuss, Sun Valley is calling your name. Book a nonstop 2.5 hour flight from LA to Sun Valley and that’s it. You’re there. You can stay at a larger resort like the Sun Valley Lodge or Knob Hill Inn, but the SBP team recommends renting a charming cottage to cozy up with friends and fam after a day on the slopes. If you’re itching for a challenging weekend on the mountain, Jackson Hole is for you. 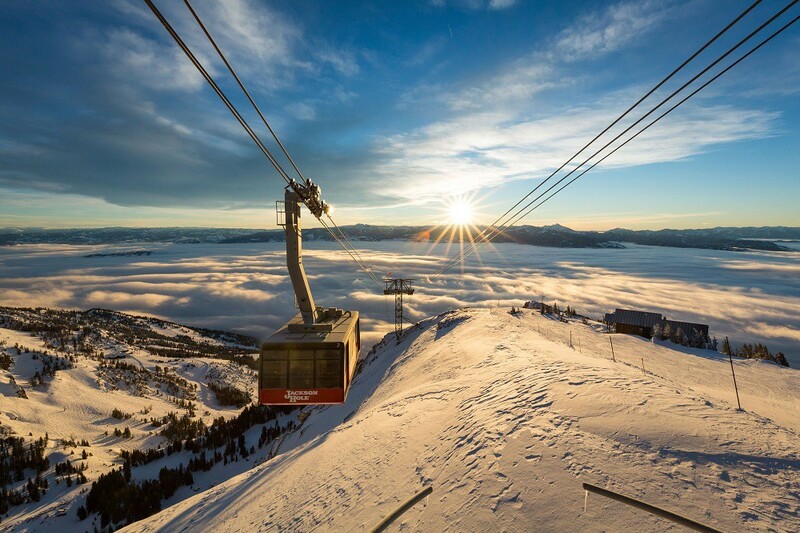 Also voted amongst Forbes’ best, Jackson Hole “combines world class terrain with ultra-convenient slopeside luxury, gorgeous natural scenery and the wonderful Western town of Jackson.” Plus, if you’re a backcountry expert, the mountain has some of the most rewarding chutes and trails in the nation. There are a handful of easy flights from LA to Jackson Hole, some of which stop in Salt Lake City for a short minute. Just recently, however, a new nonstop flight was added, making it easier than ever to trek to the Tetons. The town of Jackson is a true cowboy’s delight (seriously, check out the Cowboy Bar), but the most luxe hotels reside right in Teton Village. If you can, try to get a room at the new and totally epic Caldera House. You will NOT regret it. For a magical yet accessible mountain escape, consider making a trip to Banffin Canada. While the destination is world-renowned in the summer, replete with stunning glacial lakes, the National Park is a bona fide winter gem. 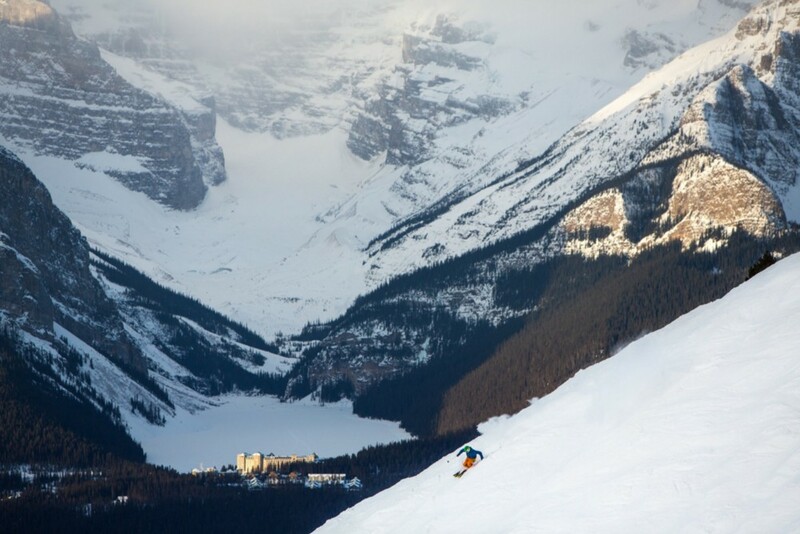 Here, you have three resorts to choose from: Banff Sunshine, Lake Louise Ski Resort and Mt. Norquay. And, to be honest, you can’t go wrong with any of them. Jump on a three hour flight to Calgary then hop in a rental car along some of the country’s most iconic routes to arrive at Banff. The area is brimming with luxury lodging options and, better yet, they’re significantly less expensive than those in the states. Whether you choose to dwell at the Fairmont Chateau Lake Louise, Sunshine Mountain Lodge or Post Hotel & Spa, your Banff experience will be nothing short of extraordinary.